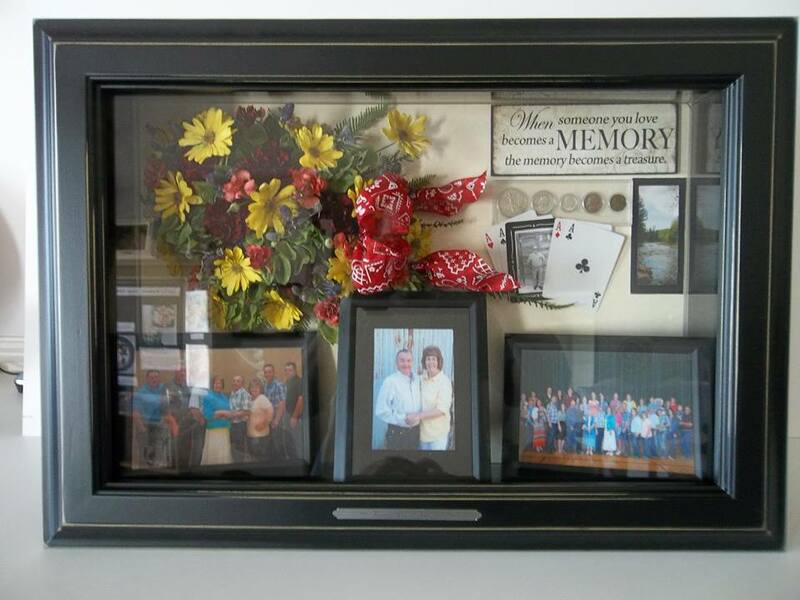 The Giles family brought in the funeral flowers and some of their father’s favorite things after he passed away. There were pictures, face cards, coins, etc. I’ve never met Mr. Giles but from the memories his family brought, I know he must have been a great man. 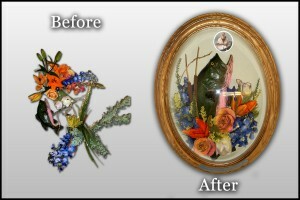 I’m glad that the family will have this encasement as a sweet reminder of their father. If you would like to do the same for a loved one bring in your flowers and memorabilia to Suspended In Time® Flower Preservation. Call us at (801) 227-0075 to find a retailer near you. I absolutely adore this box. 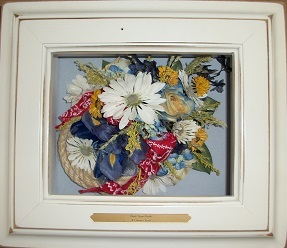 Remember loved ones who have died by combining flowers and memorabilia (like the rope and bandanna intertwined into the arrangement above). 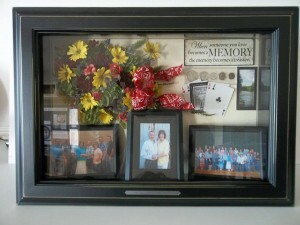 Come, let us help you preserve your precious memories at Suspended in Time®. For more information or to find a dealer near you visit our website or call (801) 227-0075.